Press Play. Listen. Flip through the Transcript. 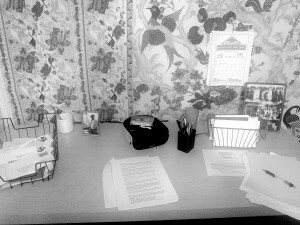 Write a Letter. What is it like to break into the archive & dialogue with someone who has passed?
. . . to seek advice from the late sage of the Zambia radio airwaves? What happens when you speak English and the wise advisor speaks Bemba? What is lost and gained in translation? This installation repurposes Bemba language analog material originally recorded in Zambia between 1986 and 1990 by Debra Spitulnik Vidali, and which has now been digitized for the development of a new initiative entitled the Bemba Online Project (BOP) as well as a book about one of Zambia’s most famous radio personalities, David Yumba. David Yumba was the creator and producer of the Bemba language radio program, Kabusha Takolelwe Bowa (a Bemba proverb meaning “The Person Who Inquires First, Is Not Poisoned by a Mushroom” or “The One Who Asks Questions, Never Goes Wrong”). In the program, Yumba answered listeners’ letters about politics, society, family, and current events, as they were read out aloud by his co-host Emelda Yumbe. 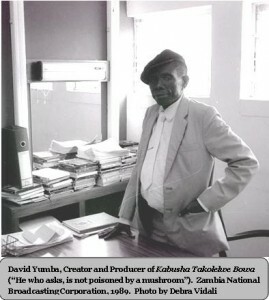 The show ran for over 25 years on Radio Zambia and was one of the most popular radio programs in Zambian history, up to the time of Yumba’s death in 1990. David Yumba was completely unique and there is no comparison . . . but if analogies with US media figures need to be made, one might imagine a compassionate, brilliant, devout, searing, sometimes angry, and sometimes playful hybrid of Michael Moore, Ralph Waldo “Petey” Greene, Jr., Larry King, Judge Judy, and Garrison Keillor, tinged with a bit of a Dear Abby and Doctor Ruth personal advisory tone, all overlaid by the characteristically Bemba oratorical style of a razor sharp griot and trickster. What you hear is a remixed and reinvented Kabusha “radio program” conceived and engineered by Kwame Phillips, that emulates the same format as the original 60 minute show. 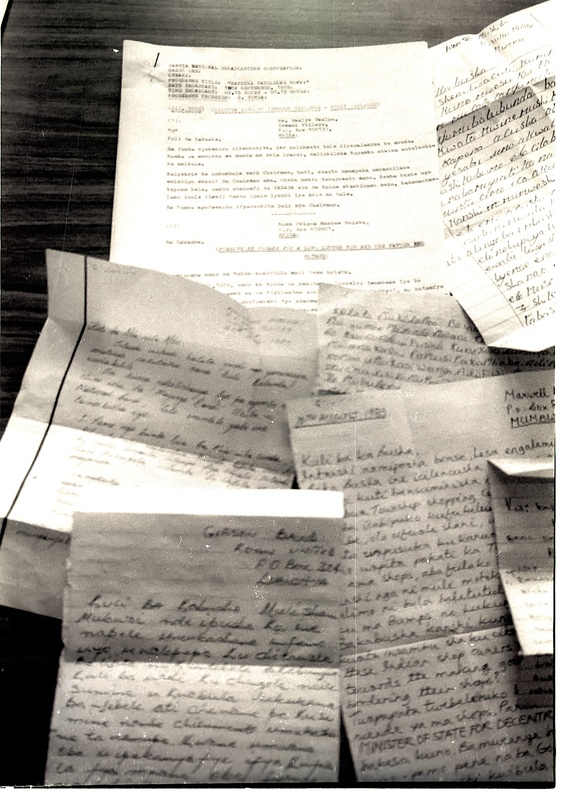 Excerpts of Yumba’s answers from past programs are used to answer questions of the present-day Bemba archive workers about the politics and technicalities of archives, as well as new questions from “anonymous” letter writers about current Zambian and global politics. We recorded London-based Christine Matanga-Mukuka in November 2014 reading the new letters. In the mix of these new letters and Yumba’s archived commentary, you will also hear the rich songs, colorful advertisements, and crisp announcements that animated the original Kabusha transmissions. The Bemba Online Project is intended solely for non-commercial educational, research, artistic, and personal purposes. Commercial use of audio materials, images, and texts featured on this website is prohibited. Copyright of material utilized in the Bemba Online Project remains vested with the original writers, artists, publishers, and producers.